2. Today’s organ is associated with the ability to play a variety of different timbres. 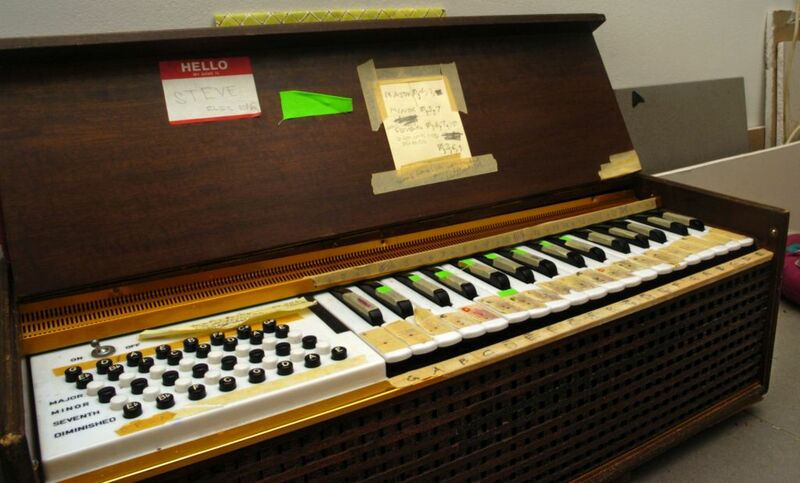 The first “modern” organ was actually invented as early as the 1500s. These included stops, a type of mechanism that allowed separate sets of pipes to be closed or “stopped,” creating variations in dynamics and tone color. 3. The organ didn’t begin making its way into churches until approximately 900 AD. 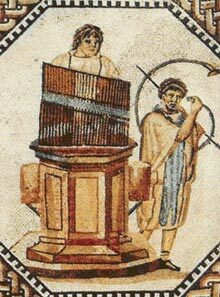 Many people today associate organs with a church setting; however, during the 1100 years before the organ was used in church, it was played at banquets, games and circuses. 4. The organ was the most complex machine invented before the Industrial Revolution. 5. 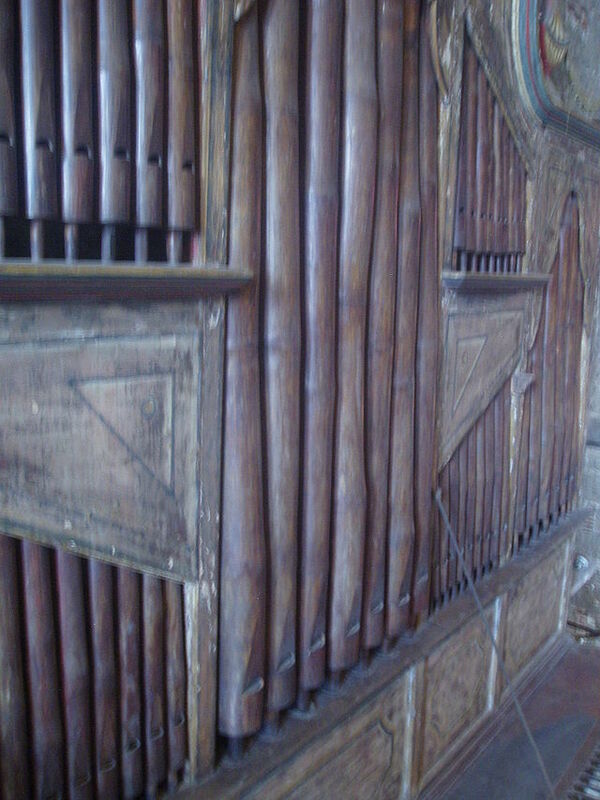 Organ music is notated on three staves. The music for the manuals is located on the top two staves and the music for the pedals is on the third stave. 6. While the organ has been essential to classical music for centuries, it was not introduced into the orchestra until the latter half of the nineteenth century. This was possible because organ makers began to build instruments in concert halls and other large venues. Camille Saint-Saëns’ Symphony No. 3, also known as the “Organ” Symphony, is one of the first and most famous works composed for orchestra with organ. The largest pipe organ ever built, based on number of pipes, is located in the Boardwalk Hall Auditorium in Atlantic City, New Jersey. It was built between 1929 and 1932 and consists of 33,114 pipes and weighs roughly 150 tons. Sadly, this organ is no longer operational. The largest operational organ is the Wanamaker Grand Court Organ. 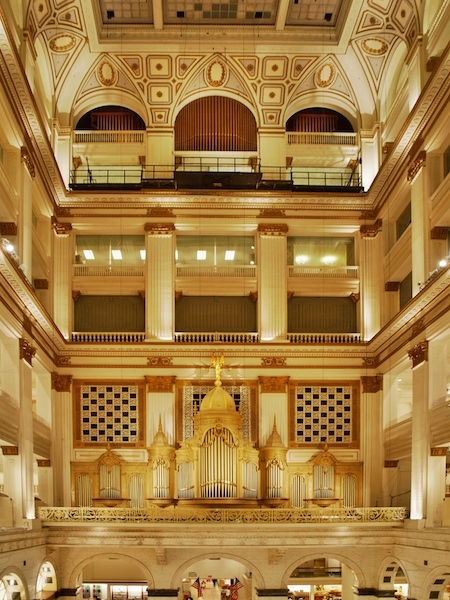 Originally apart of Wanamaker’s Department Store in Philadelphia, it is now owned by Macy’s. It is second to the Boardwalk Hall organ in number of pipes at 28,677. However, it has the greatest weight of any organ in the world at 287 tons. It is still performed twice daily, Monday through Saturday. 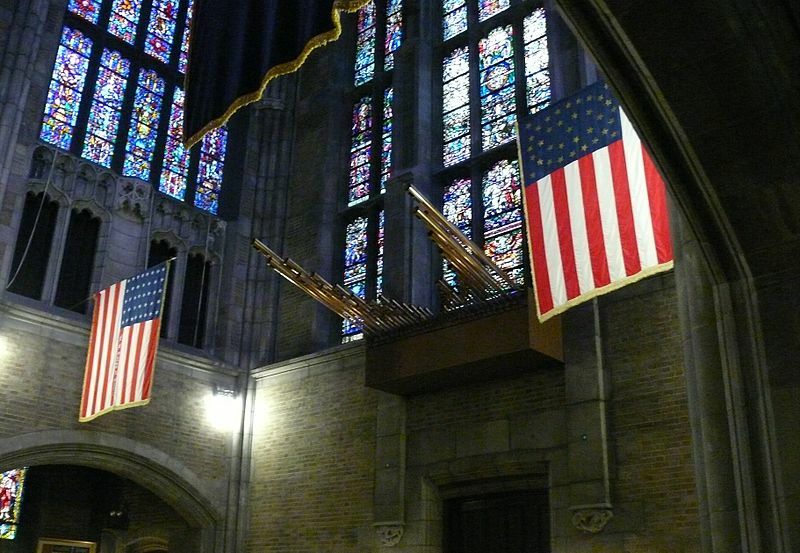 The largest organ in a church is located at the Cadet Chapel of the United States Military Academy, West Point in New York. It was built in 1911 and contains 23,500 pipes and weighs 124 tons. It is played for over 300 services a year, which is surprising because there have only been four organists in the chapel’s history! You do the math. There is an organ made entirely of bamboo located at St. Joseph’s Roman Catholic Church in Las Piñas Philippines. Building of the organ began in 1816 and was completed in 1824. Due to age and numerous national disasters, including earthquakes and a typhoon, the organ was rendered unplayable. Many restorations have been made, most notably in the 1970s when it was sent to Germany for repairs. It is now playable and several recordings have been made of it. The annual International Bamboo Organ Festival was established to celebrate the restoration of the unique instrument. When we think of organs, most of us associate the musical instrument with the pipe organ. However there are also reed organs, chord organs, electronic organs and steam organs. Reed organs: Just as its name suggests, sounds are generated using reeds, similar to an accordion. 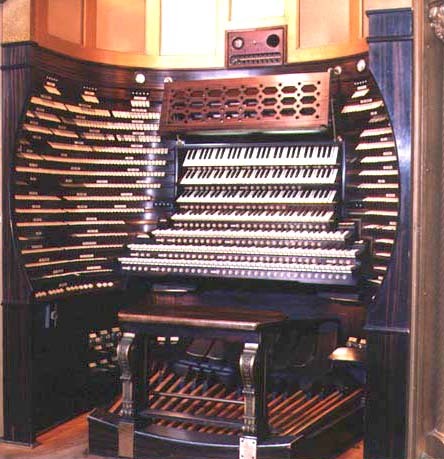 Because it is smaller and more portable than a pipe organ, it was often found in small churches and private homes. 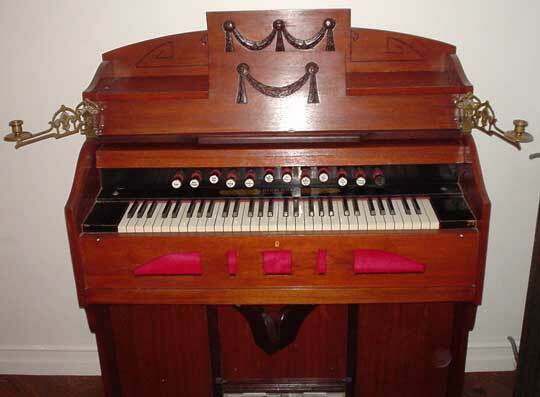 It is also known as a pump organ or harmonium. Chord organ: Invented in 1950, the chord organ provided chord buttons for the left hand, like an accordion. Like the reed organ, it was commonly found in private homes. 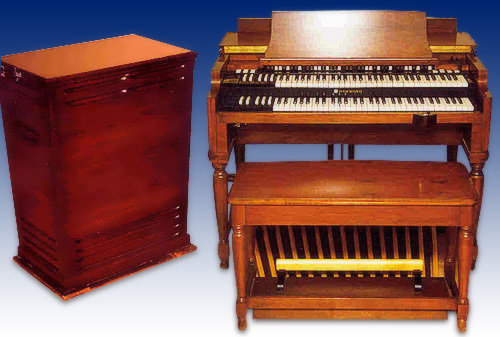 Electronic organ: The first successful electronic organ was invented by Laurens Hammond and released in the 1930s. It was originally created to replace organs in church, but became popular in jazz and gospel music. It was widely used in rock n’ roll in the 1960s and 1970s by bands including The Doors and Pink Floyd. The electronic organ eventually made the reed organ obsolete because of their easy portability, size and inexpensive cost. Steam organ: Also known as a calliope, this type of organ uses pressurized steam to create the wind needed to produce sound. It was invented in the United States in the 1900s. They are used as outdoor instruments because of the immense volume they can produce. The organ has been used at baseball, basketball and ice hockey games in the United States and Canada. The Chicago Cubs were the first team to use the organ during play breaks in 1941. The Brooklyn Dodgers hired baseball’s first full-time organist, Gladys Gooding. She became so famous that a joke was made in her honor: “Who played every game last year for the Dodgers without making an error?”. In the 1990s, organists were replaced in ballparks by recorded music. However, many fans felt it was an essential part of the baseball game experience, so some fields have been reintroducing organ music. In 2009, the Atlanta Braves brought back an organist to Turner Field. Thank you for reblogging! We are so glad that you found it interesting. It was a fun article to write! That’s great to hear! Please let us know if we can be of help anytime! Fantastic Posting……filled with terrific insight and informative history…….thanks ! Thought we’d share this again because organs are just so cool. And time is running out to Save 20% on Organ Solos and Duets!